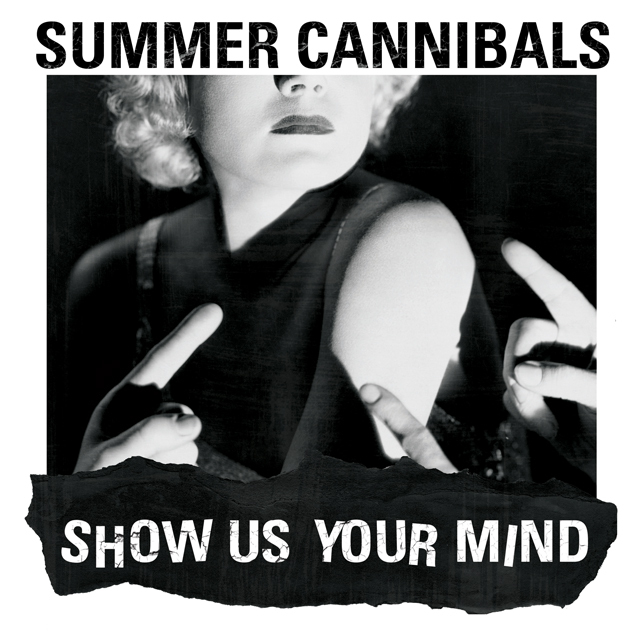 “I’m back where I started from,” vocalist Jessica Boudreaux sings as sweet backing harmonies flirt with growling guitars and hard-hitting rhythms in the choruses of “All It Takes,” the opening track on Summer Cannibals’ Show Us Your Mind. She could be talking about the state of a troublesome relationship, or about the band’s roots in the great, grungy tradition of Northwest bands such as the Sonics and the Wipers. Either way, the noise/melody mix is indicative of the quartet’s approach on the 11 tracks from its second album, and it’s irresistible. Named for a track by Patti and Fred “Sonic” Smith on the 1996 album Gone Again, Boudreaux, Marc Swart, Devon Shirley, and Jenny Logan made their debut with No Make Up in 2013, a promising effort that only hinted at the strength of the songwriting and playing on its follow-up. Like Southern California’s beloved Muffs, the pop-meets-garage ethos is hardly innovative. But the wicked wit of the lyrics, the roar of that guitar, and the melodies of sweet & sour confections such as “Something New,” “Summer,” “Not Your Turn,” and the title track are thoroughly addictive.